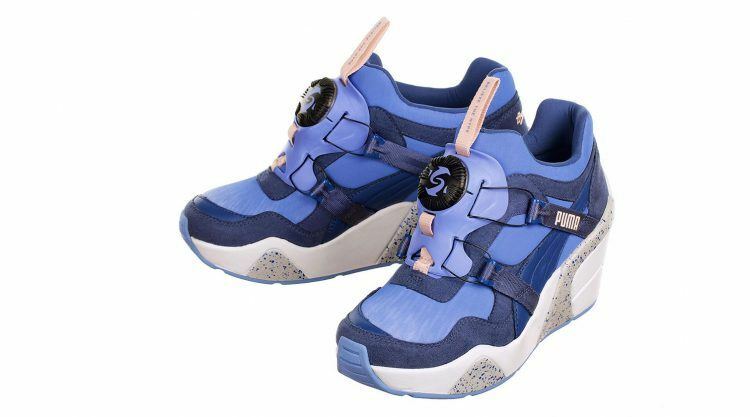 If you invited the PUMA Disc for a job interview, you would hear an interesting story about its professional career: Born as a ski boot locking system, the Disc made it to PUMA in the 90s and was launched as a lifestyle shoe to help kids (and mummys) to avoid annoying tying, before the shoe laid back for a while, just to return with a banging recap in the early 2000s. Asking for memorable moments in its life, it would definitely mention its intermezzo in the track and field arena. “I wanna give it a try”, Colin Jackson said, meaning that the hurdler would support PUMA’s idea of bringing the Disc from street to track. While other PUMA athletes, like Linford Christie, regretted wearing PUMA’s latest invention, Colin had a heart and slipped into the Disc at the 1993 World Championships in Stuttgart, Germany. But before that, an important adjustment needed to be made: It was neither the special locking system nor all the doubters that worried Colin. It was the visibility of the PUMA formstripe he feared for. 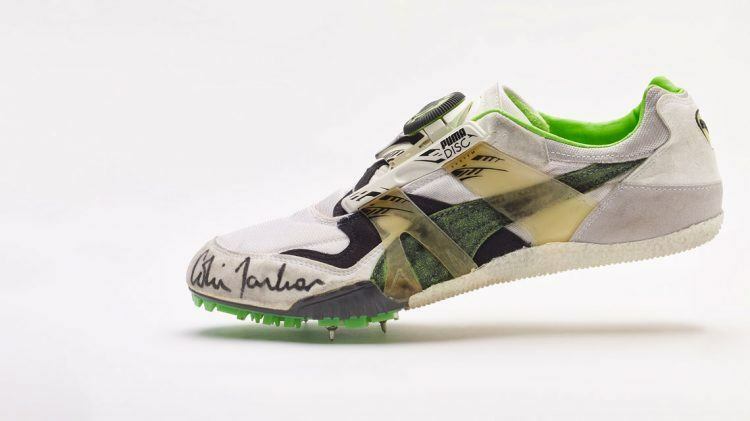 “The formstripe was colored in a flashy green, but just before his start, Colin decided that black would go better with the shoe”, Helmut Fischer remembers. Colin helped himself, grabbed a black marker and changed the colorway of his Disc. Finally ready to run, he silenced all sceptics. Colin ran to the biggest achievement in his career, breaking the world record and winning gold over 110m hurdles. So a World Championship title was added to the Disc’s trophy case where already an Olympic gold medal was sitting, which it won along with German long jumper Heike Drechsler in Barcelona in 1992. After the Disc had not been able to establish itself as a track and field professional, it resumed a Lifestyle position for the time being. But collaborating with designers like Sophia Chang isn’t too bad either. 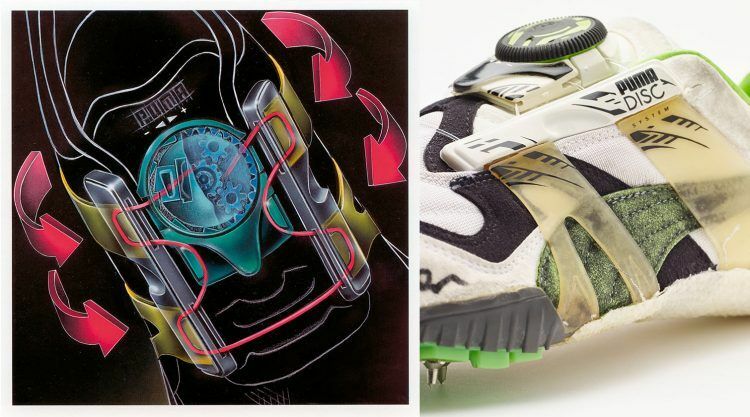 Now and then, on the left PUMA's pioneering technology: PUMA’s brand new invention was presented in several retail brochures. On the right: The Disc that broke the world record - in Colin's selfmade colorway. Meanwhile the Disc returned to the streets and collaborates with designers like Sophia Chang. In honor of his great success, Colin immortalized himself on the PUMA Walk of Fame.